Soil fauna have been receiving more and more attention because they play an important role in nutrient cycling. However, there is a lack of information on soil arthropods in the forest-steppe ecotone in the mountainous region of northern Hebei, which makes it difficult to meet the need of protecting biodiversity in this area. 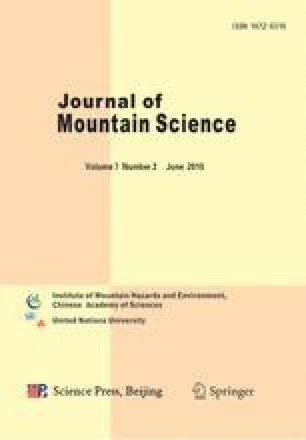 Soil arthropod communities were investigated in the forest-steppe ecotone in northern Hebei province to provide basic information on changes in mountain soil fertility, which could promote the development of soil arthropod communities in mountain ecotones. From the preliminary identification, a total of 7994 individual soil arthropods were collected, which belonged to 25 groups, 6 classes and 24 orders. Acarina, Hymenoptera and Collembola were the dominant groups in the ecotone. The number of Acarina was higher than Collembola, and this phenomenon was obviously different from other areas in the same climate zone. The increased abundance of rare groups in the Forest zone with the richer vegetation, higher arthropod abundance and more substantial litter depth, could be interpreted as a reaction to the suitable soil environment and food supply. And these rare groups were sensitive to environmental changes, which could be regarded as biotic indicators for evaluating soil quality. The analysis of community diversity showed that the abundance index (d), the Shannon-Wiener index (H′), the evenness index (J) and the density-group index (DG) were significantly higher in the forest zone, lower in the forest-steppe zone, and lowest in the meadow-steppe zone. Seasonal variations in community composition correlated with changes in average air temperature and precipitation in this ecotone. Groups and individuals of soil arthropod communities in the three zones were present in greater numbers in the middle of the rainy season than in the early or late periods of the rainy season as a whole. At the same time, seasonal changes in soil arthropod communities from different plots were also influenced by habitat condition.